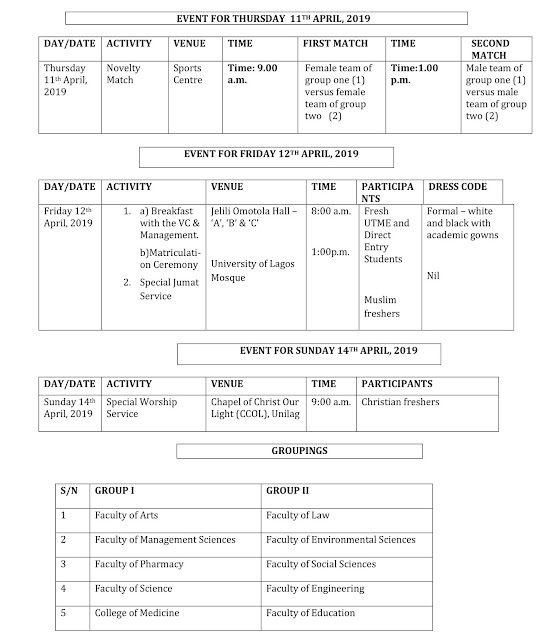 All fresh/newly admitted undergraduate students of the University of Lagos (UNILAG) are hereby informed that Orientation Programme for Fresh UTME and Direct entry students for 2018/2019 academic session has been announced. 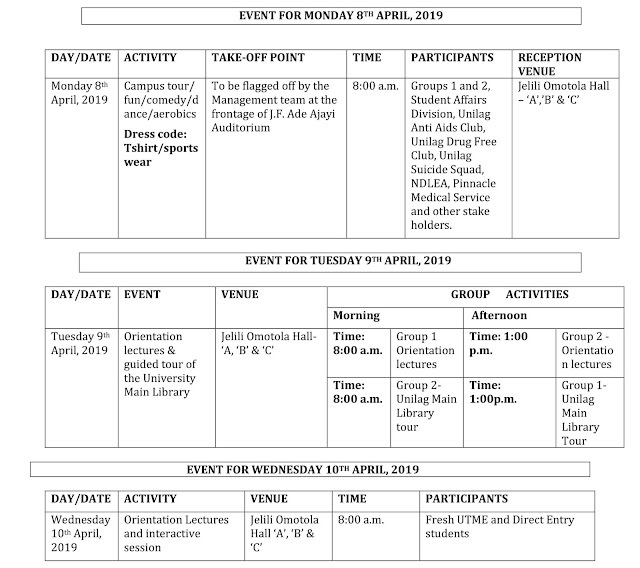 The Vice Chancellor has approved Monday 8th April – Sunday 14th April, 2019 to be lecture free week for Fresh UTME and Direct Entry Students to enable them participate fully in the 2018/2019 Orientation Programme organised for them. Kindly note that this exercise is compulsory for all new students and attendance will be taken.